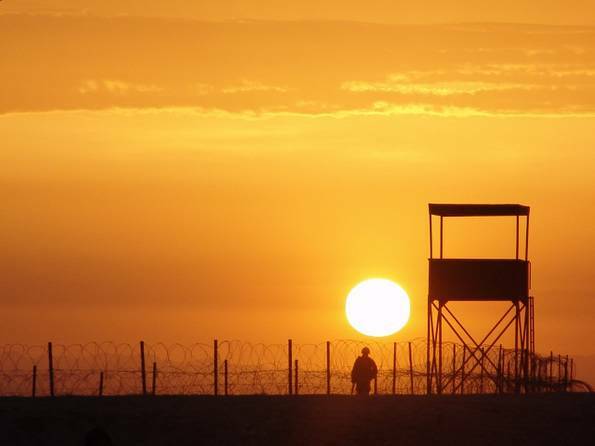 Soldiers Reprimanded for Accidental Sunburns – Live In Our Skinz! Marcie Birk, a Health Educator with the U.S. Army Center for Health Promotion and Preventive Medicine reported on recreational and occupational exposure to the sun. Occupational sun exposure increases a persons risk of skin cancer by 43-77%. Many soldiers are usually exposed to harmful rays all the time, by default of their occupation. Soldiers can be exposed to many hours of UV radiation during unit and individual training. They are encouraged to take the proper sun safety precautions as the general public; to use a sunblock with an SPF 30+ and reapply every two hours, and to wear a wide-brimmed hat. Answer: By unscented formulations. They are just as effective without the scent. Answer: Try out other brands to find what feels right to you. Answer: Try a sport sunscreen. They are designed to absorb quickly. Answer: Use a stick sunscreen on your forehead and around your eyes. Never put sunscreen directly on your eyes. But, what happens if they do get burned? How can soldiers protect themselves? Try to stay covered if out in the sun for more than 30 minutes at a time; wide-brimmed hat, long sleeves and pants. How can the military can help? 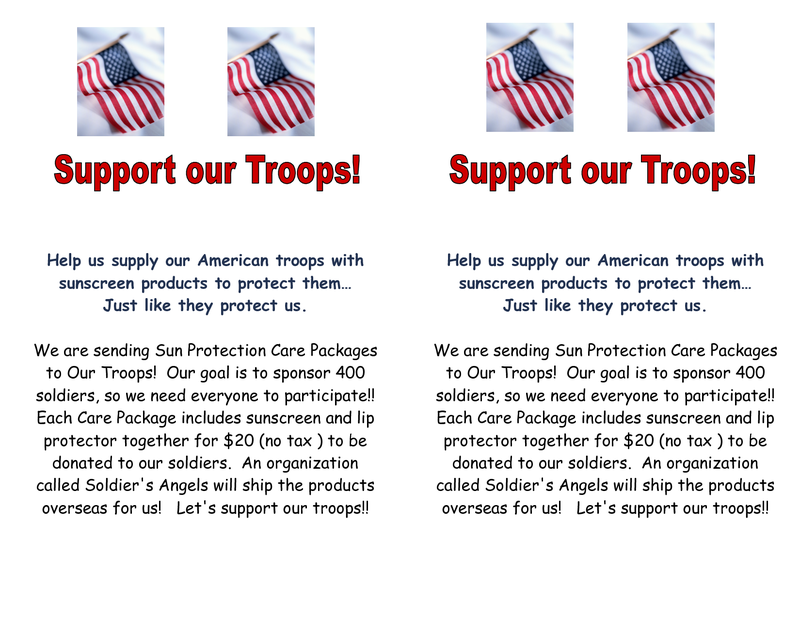 Collect sun protection products by asking people to donate in support of our troops! This entry was posted in Melanoma Newz, Prevention and tagged health, military, soldier, sun protection, sunburn, sunscreen, United States. Bookmark the permalink. ← Wordless Wednesday…Is it Spring Break yet? My wife and i got cheerful when Jordan could carry out his survey by way of the ideas he received from your web site. It’s not at all simplistic just to happen to be releasing information which people today might have been selling. So we acknowledge we have got the blog owner to thank for that. All of the illustrations you made, the straightforward blog navigation, the friendships your site aid to instill – it’s got many great, and it’s really assisting our son and the family do think this situation is satisfying, and that is highly vital. Many thanks for everything!